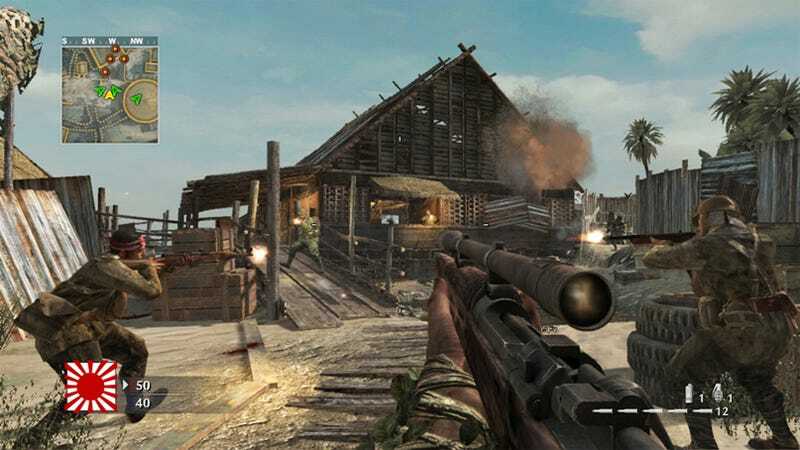 The latest patch for Call of Duty World at War hits the PlayStation 3 and Xbox 360 today, bringing with it a free daytime version of the Makin multiplayer map. Just a re-lit multiplayer map? Isn't that a bit cheap? No, it's not cheap - it's free, and they've done a little more than simply changing the day, modifying some of the paths and cover found on the map in order to change things up a bit. You can't really scoff at free, especially when it's riding on a patch that fixes many of the game's more serious issues, like stat resets, multiplayer map exploits, and rocket jumping, which while incredibly handy was also incredibly unrealistic. The new Makin Day map downloads automatically with the PlayStation 3 patch, while Xbox 360 users can download it once they're online in the game. For a full list of changes in the patch, check out the official World at War forums for the PlayStation 3 and Xbox 360 versions respectively.